You may be wondering about a natural swimming pool or swim pond, and how it is different from a regular swimming pool. Natural swimming pools and swim ponds are a chemical-free water garden that double as a swimming pool. There is a regeneration area of the pool made up of plants and rocks that filter the water. A natural swimming pool will give you the pleasure of swimming in clear, fresh water with no chlorine or other harmful chemicals. Your new swim pond will also attract a wide variety of wildlife, providing you hours of enjoyment and relaxation. If you want to keep your home free of harmful chemicals and reduce the negative impact on the environment, natural swimming pools are a great way to reduce your environmental footprint and keep your home free of harmful chemicals. They are a healthier alternative to traditional chlorine or salt swimming pools. 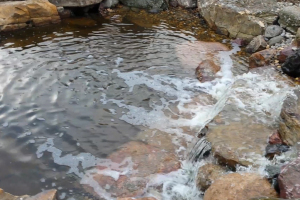 The cleaning of a natural pool is carried out by microorganisms that work together in equilibrium. Natural swimming pools have year round beauty and functionality. 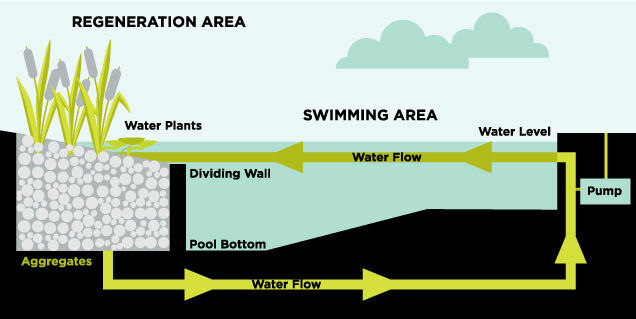 The pool has two main areas, a swimming area and a plant/biolife area. The water is continuously pumped through the pool and cleaned as it reaches the biolife area, which keeps nutrient levels low and in balance. Algae is not able to grow resulting in a much healthier, cleaner, and clearer water for swimming enjoyment. Natural swimming pools have great customization opportunities and can be tailed to any lifestyle. Beemer Landscaping specializes in designing, building, and maintaining eco-friendly natural swimming pools and swim ponds. 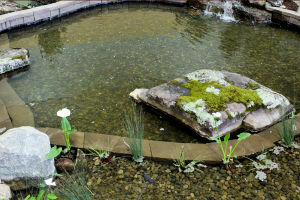 If your swim pond project is going to be successful, it requires a successful integration of the pond with your home environment. We service the entire Central Iowa area so contact us for a free quote or fill out our Landscaping Project Questionnaire.